*Price excluding VAT and transport cost. When bought in Spain they will be cheaper: instead of 70£, they will be 70€. 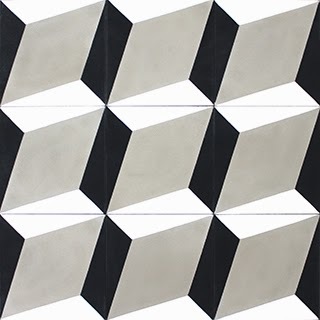 The product designer Patricia Urquiola is presenting the AZULEJ collection together with the Italian brand Mutina. 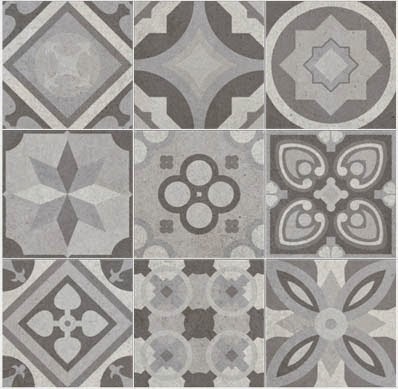 This are rectified porcelain stoneware with cold digital printing glazing and they resemble the hydraulic cement tiles with the advantage of easier maintenance. The collection has 3 series: Grigio, Bianco, and Nero and you can see the three of them in the picture above. Each of them has different tonalities but the same sort of patterns. 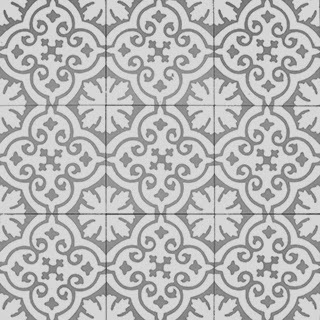 Budget tiles resembling cement tiles. 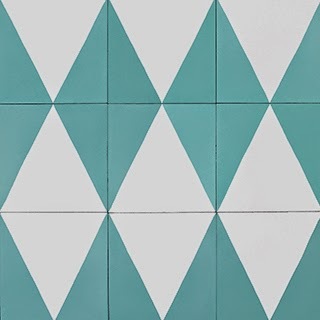 With these budget tiles that resemble more expensive cement tiles you will be able to achieve great results for less than a third of the price. 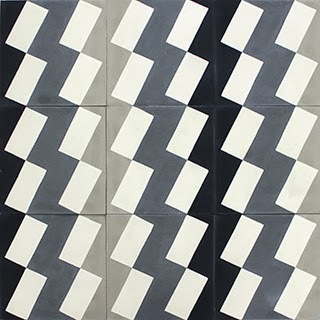 As well as the Mutina version, this is a porcelain stoneware tile, but this time they are manufactured in Spain instead of Italy. 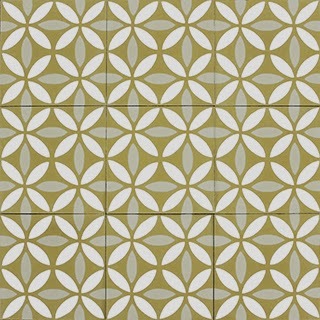 In the center image above we can see the results of using this type of tiles in an interior project by Casa Sueca. 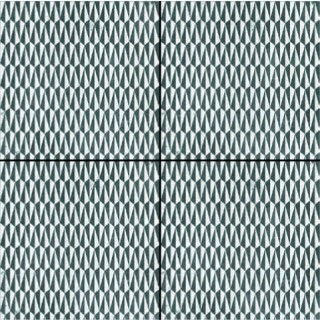 These tiles are sold as an assortment and they can seem a bit overpowering for the amount of patterns that they add to the space. Is that why we should combine them with plain colours and avoid adding many more textures to the space. 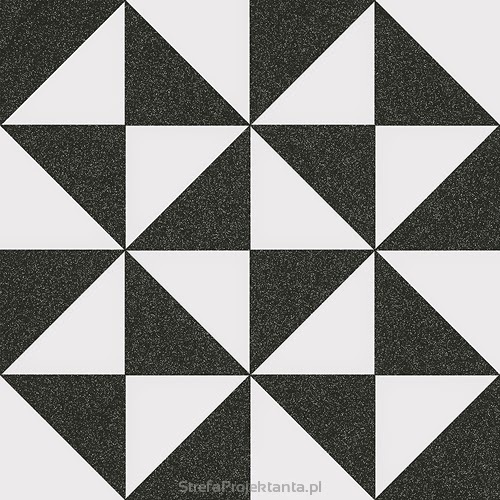 The same collection includes plain grey tiles so you can combine both of them to define different spaces. 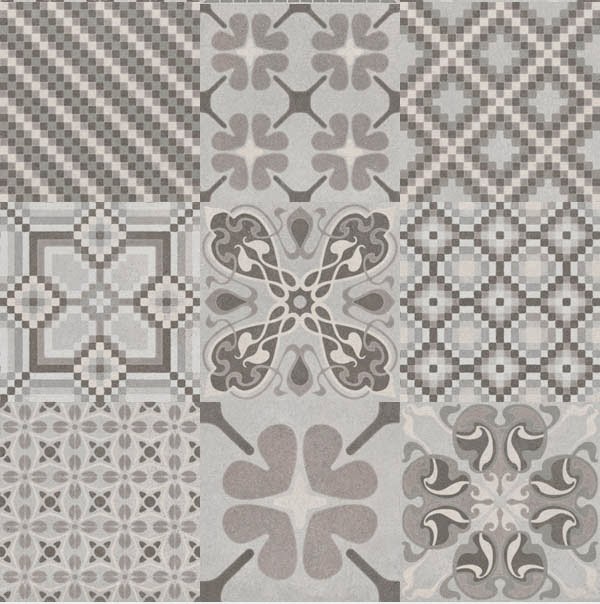 Here we are showing two collections of red body floor tiles: the Terrades Grafito in black and white, and the Tassel Perla that are two of our favourite collections. The manufacturer Vives offers other collections that we find quite interesting as well. 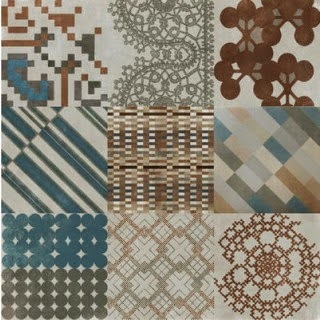 These tiles are an interesting budget option and offer a great range of patterns to choose from.